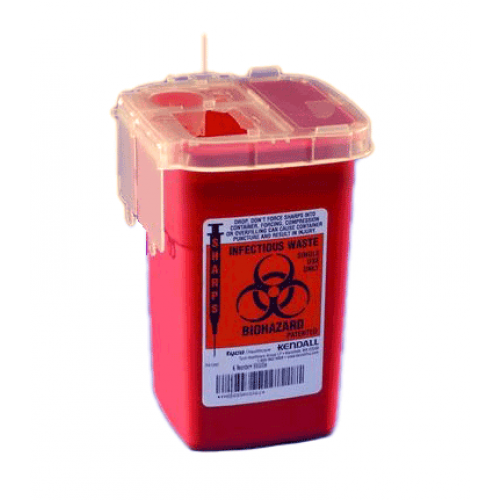 The Sharpsafety Sharps Container for Phlebotomy, 8900SA, makes choosing your safety, storage equipment easy because it offers more than safety and organization; it offers you piece of mind. 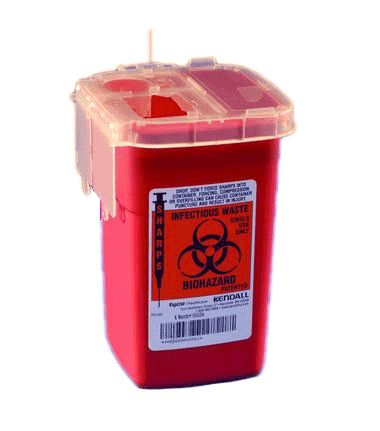 This compact, portable container is designed for the convenient and safe disposal of blood, hypodermic, and IV supplies used in the process of drawing blood or to perform other duties with patients. It has a low profile that tucks neatly into blood drawing trays or carts and brackets available, so it can be wall mounted. The manufacturer is proud to announce that this is the only sharps disposal container awarded with the Seal of Acceptance from the Alliance of Children's Hospitals and is ideal for pediatric, geriatric, or high risk areas. Container 8900SA has a clear lid with openings that allow for the disposal of butterflies, syringes, and lancets. The square base allows for efficient organization and for added stability. The container securely locks for final disposal. This container maximizes safety by minimizing the potential for overfilling by arresting the addition of additional items when the fill level reaches the full position which is its maximum capacity but still allows for visual monitoring.